Team17 has announced today that a brand new prison for their sandbox escape title The Escapists 2 is officially out now. 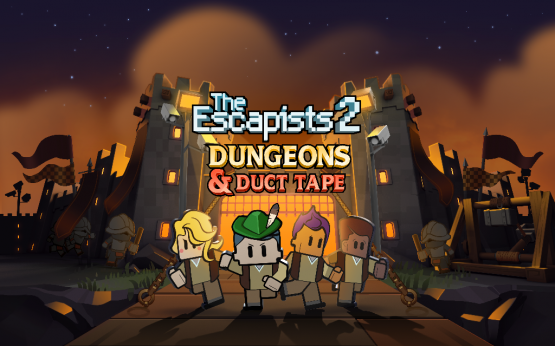 The Dungeons and Duct Tape DLC, which brings players to Locke Castle, is available on Xbox One, PlayStation 4, and PC. In it, players will have to avoid armored guards, watch out for other inmates, and find new items to use or craft in an effort to once again break out of prison. The Escapists 2 is available now.